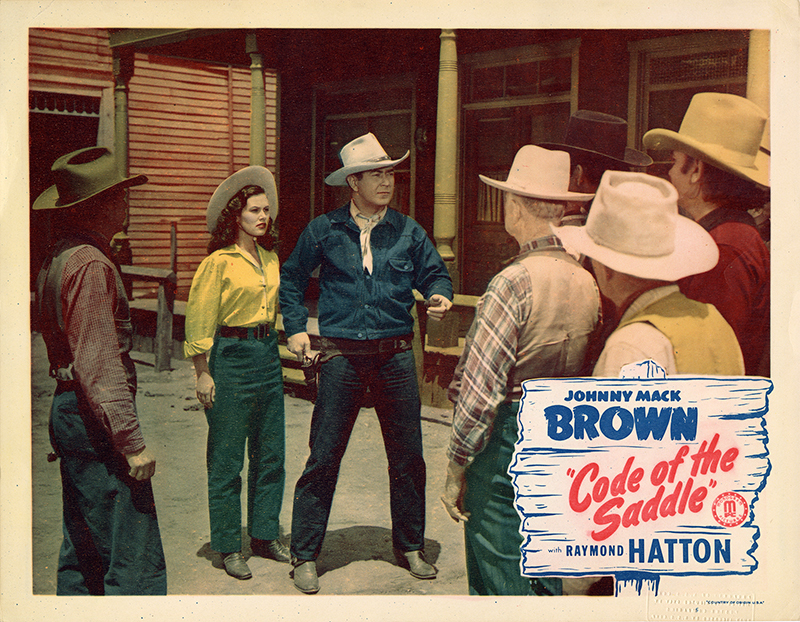 "Code of the Saddle," (Monogram, 1947), starring Johnny Mack Brown. Shot at Ernie Hickson's Monogram movie ranch (Melody Ranch) in Placerita Canyon. LW2198: 9600 dpi jpeg from 240 dpi jpeg.